Deus Ex: Human Revolution Director’s Cut holds a plethora of improvements and such as new augmentations, eight hours of developer commentary, 45-minute Making Of-documentary, a New Game+ mode, achievements, a fully interactive in-game guide Additionally, five languages (German, English, Spanish, French, Italian) are available on the disc in both subtitle and audio from including the ability to mix and match. And finally, a left-handed control option has also been added for good measure. All this does not include all the features that are part of the Wii U second screen experience. Now I understand that there are many of you who have played the original version and find it hard to justify buying the same game once again but I find it perfectly reasonable as you’ll soon discover. 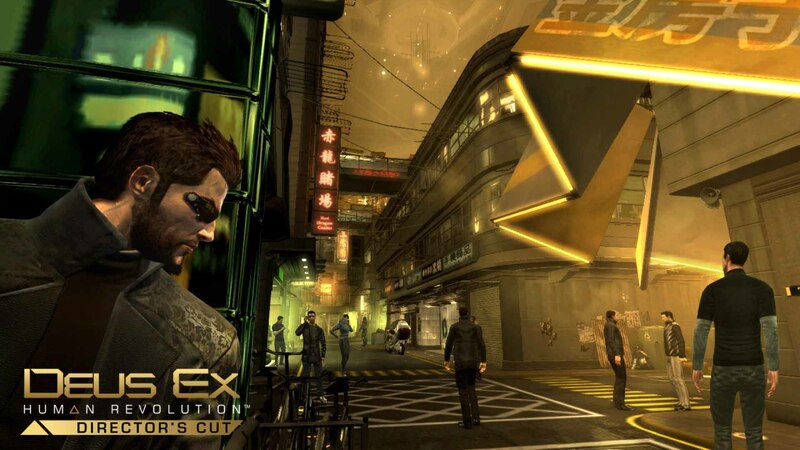 The director’s cut of Deus Ex: Human Revolution isn’t just a lazy cash-in, because it included all-the-DLC content that was released for the original game. Square Enix appears to genuinely wanted to create the defining experience in this version and it shows full heartedly as they have listened to player’s feedback and revamped boss battles in a way that the original didn’t. For example, the boss battles will include an element that gives the player the option to use stealth and hacking while, if the player decides too, solve these encounters without having to fire a single bullet. But keep in mind that the bosses will have to be eliminated in some fashion. This approachability wasn’t just applied to the boss battles, it was reworked with the maps and though out the entire game itself. This in turn allows for different approaches for a player to experiment with. The director’s cut also has worthwhile enhancements such as A.I. and combat. Visually speaking, the game has smoother shadows, better lighting and anti-aliasing throughout the whole game. According to Eidos Montreal’s Emile Pedneault, the Director’s Cut on Wii U is even “sharper than the PC version,” likely referring not to the actual sharpness of the resolution but to the graphical improvements originally found in the “Missing Link” DLC which were applied to the whole game while also being improved even further. Cleaner visuals and better lighting from the DLC are now applied to the whole game. Not only that, the Wii U has system-specific features such as dedicated Miiverse Integration and a Neural Hub on the GamePad that allows for touchscreen-hacking, interactive map editing, augmented sniping and an off-TV option which falls more in the lines of the original. 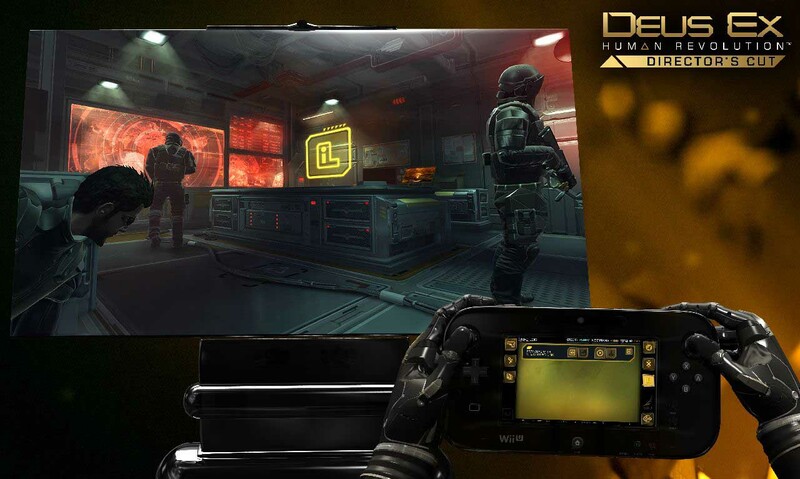 Deus Ex: Human Revolution – Director’s Cut will be released on PC, Wii U, Xbox 360 and PlayStation 3 on October 22nd. The game will cost $50 on Wii U, but the Xbox 360 and PS3 will be priced at $30. Oh! 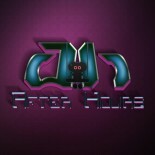 Don’t forget to like us on Facebook, Twitter and Tumblr. We do get lonely. With all these improvements and additions, many of which I haven’t even mentioned, I can easily understand why the Wii U version is priced higher. For me, this is version has received far more care then what most people have become accustomed to when it relates to video game ports. If more developers took this kind of care and attention when porting a game, (and I use that word loosely) then I it perfectly justifiable to pay for the asking price. This entry was posted on 10/16/2013 by Byungsuk Kim in Computer, Fuctionality, Microsoft, Nintendo, Sony and tagged Deus Ex Human Revolution Director's Cut, Eidos Montreal, PS3, Square Enix, Wii U, Xbox 360.